Backgammon is a game steeped in history, enjoyed throughout the years, and passed on from generation to generation. Now you have the opportunity to share this classic game with your friends or family. 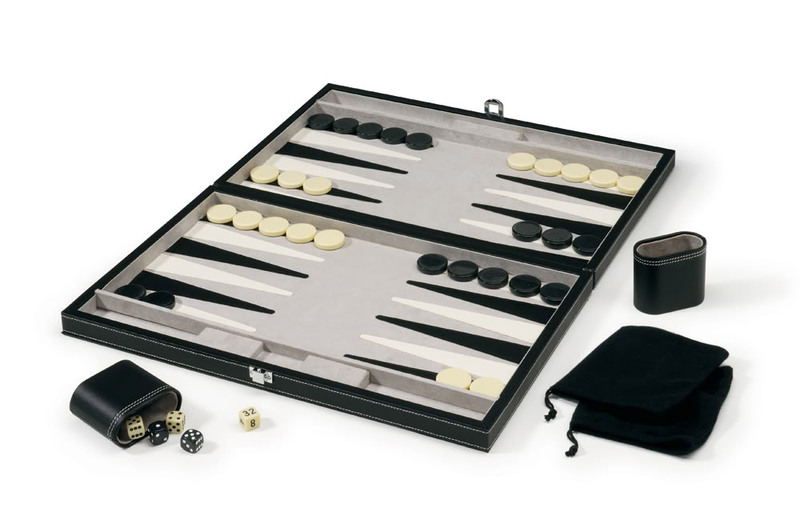 The Mainstreet Classic Backgammon Set offers the traditional game experience in a convenient portable package. The beauty of this set starts with the case. 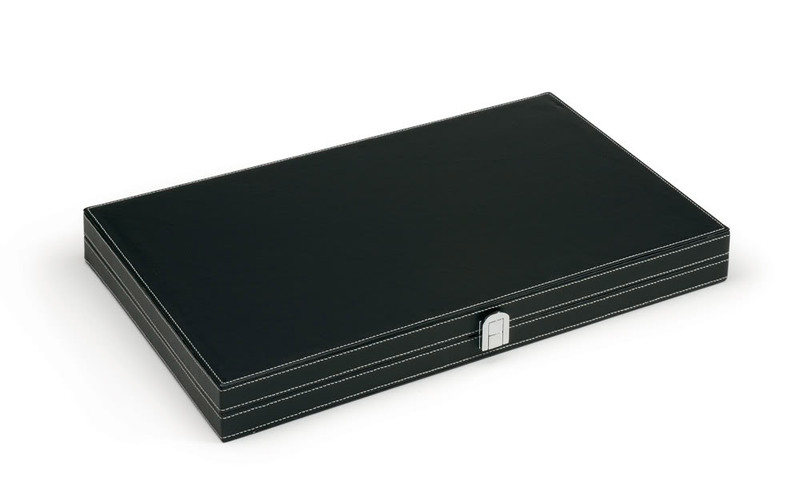 A sleek black leatherette covering protects the inside of of the game board from the elements while in transit. 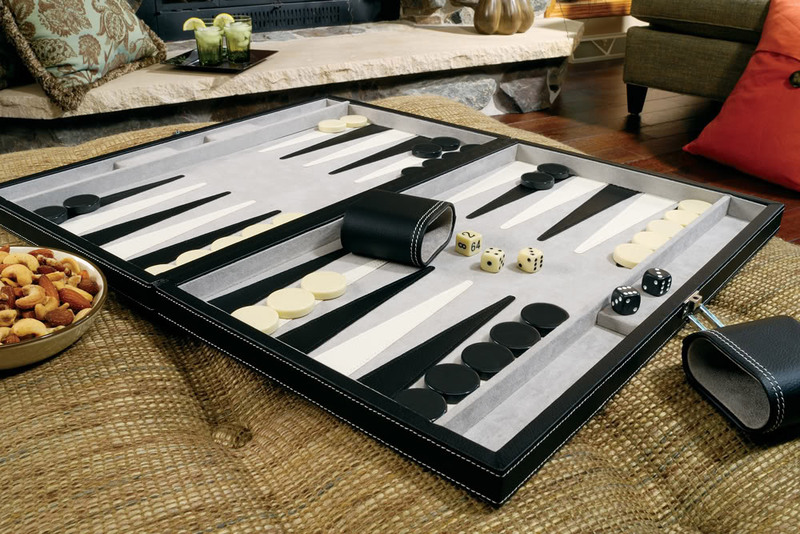 Once opened, the Backgammon Set measures 18” for a full sized experience that can be played anywhere you need. The board is covered in a stylish grey cloth covering that will certainly stand up to years of use. Complementing the luxurious interior are the sewn on leatherette points for a sharp contrast to the cloth. Once play begins, you will find the matching black and white playing pieces to be solidly constructed, with a weight to them. The board also includes everything else you need to get your game started: two leatherette dice cups, a doubling cube and playing instructions will ensure that you start your backgammon games right.